This shot by reddit user anthonymccue reminds you that if you gaze long enough at a hearse, the hearse gazes back. 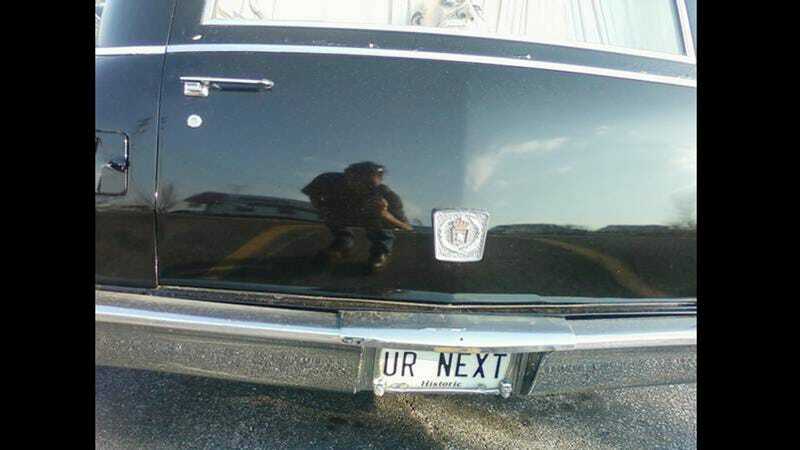 And then it tells you — "UR NEXT." Remember when young people used to buy old hearses all the time back when gas was cheap and new hearses were plentiful for funeral homes. There's no better way to get into some spacious Cadillac luxury than with a hearse. Who cares if it's creepy, right?